Participants who take part in a science fair are required to come up with creative ideas for their projects. However, they first need to write a Proposal Form and get it approved from the authorities concerned. By using a science fair proposal form, they can easily describe the details of the project and its scope as to what it intends to achieve etc and present it to the people concerned for approval. 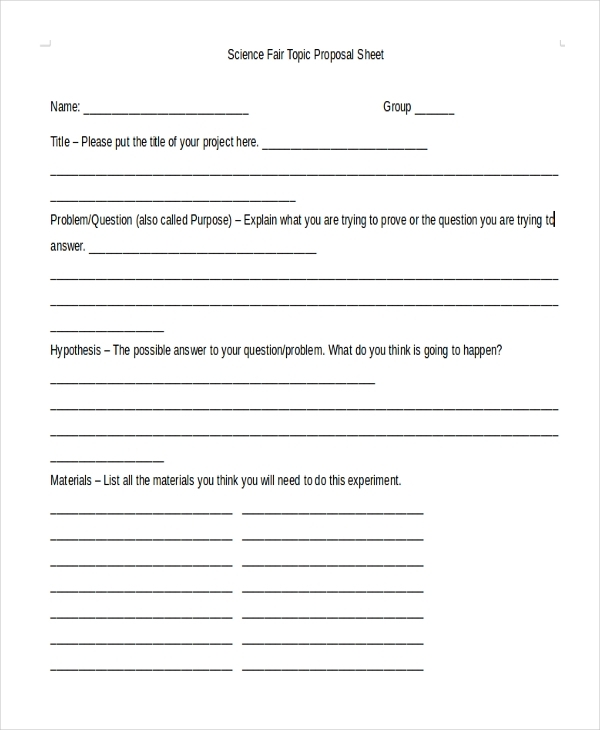 This form is used by the participants of a science fair or exhibition to elaborate on what their experiment is about and what problem it intends to solve. This form comprises of all the important segments which are required to describe an experiment. 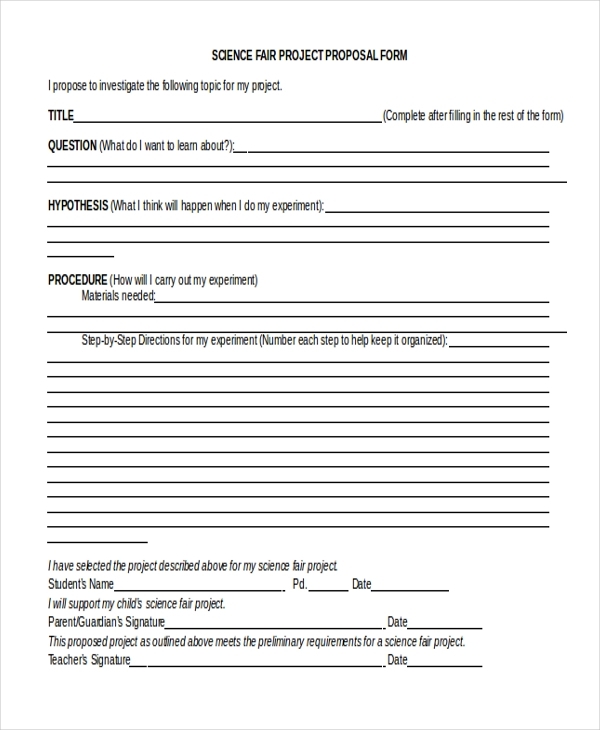 This proposal form is used to present a detailed account of a science project as to how it will be assembled, what procedures will be carried out and the problem the person intends to address with the project. Used to make a proposal for a project that the participant intends to present in the science fair, this form helps him to share all the crucial details like the nature of the experiment, the steps that would be carried out and the intention of the project. 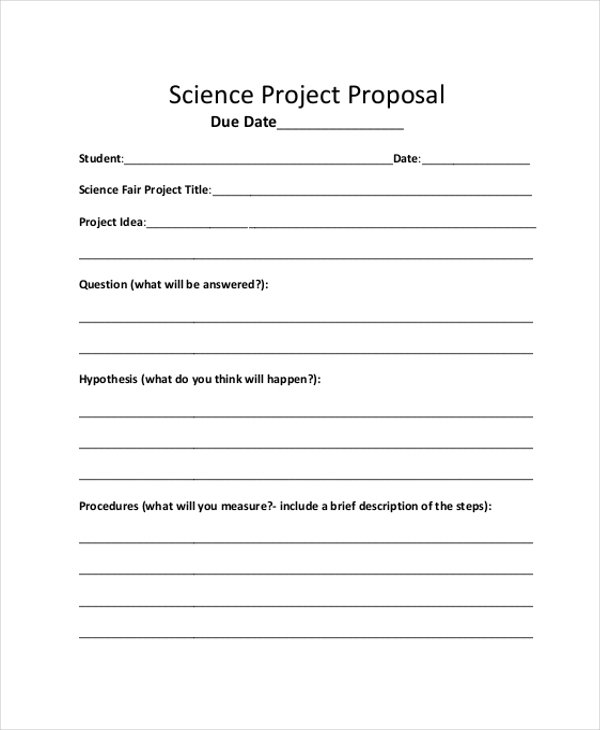 As the name suggests, this form is used by the students to present their teachers with the proposal of a science project that they intend to make for the science fair in the school. They use this form to describe their project like its scope, its steps etc. 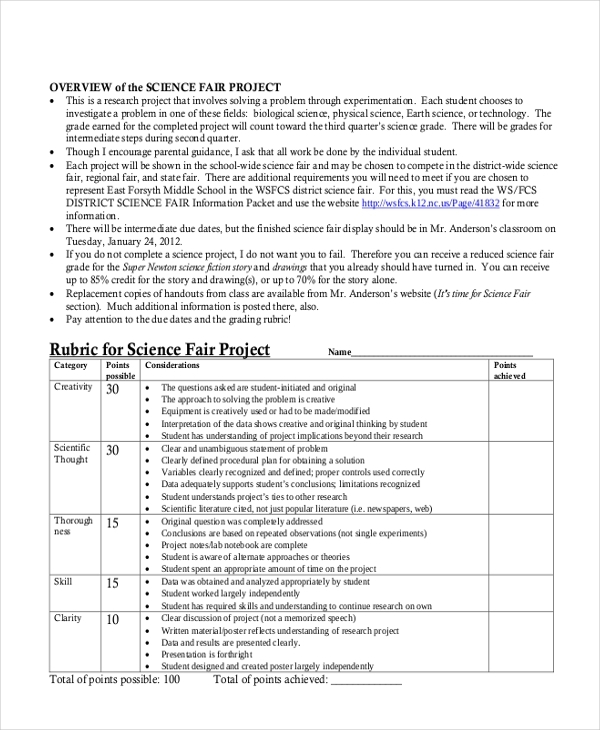 This form is used by the teachers of the elementary school to grant permission to their students to make a certain project for the science fair. They fill up this form once they are convinced of the project idea after discussing it with the students. 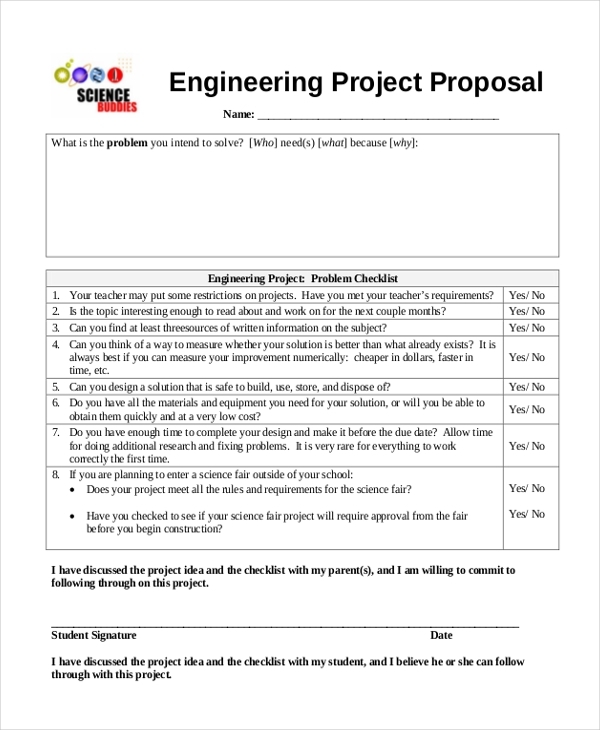 This proposal form is mainly used by the students studying engineering or people planning to make an engineering project for a science fair. Using this form, the person presents a project idea to the concerned authorities in order to get a go ahead. This is a handbook that is given to the students or participants of the science fair to help them understand the kind of ideas that are expected of them. This also hints at certain ideas and ingredients which the participants can use in their experiments. This is a form that is handed out to the judges of the science fair to ensure that all the projects are graded in a fair and uniform fashion. The form informs the judges about the judging procedure that they need to follow while checking out the projects on display. 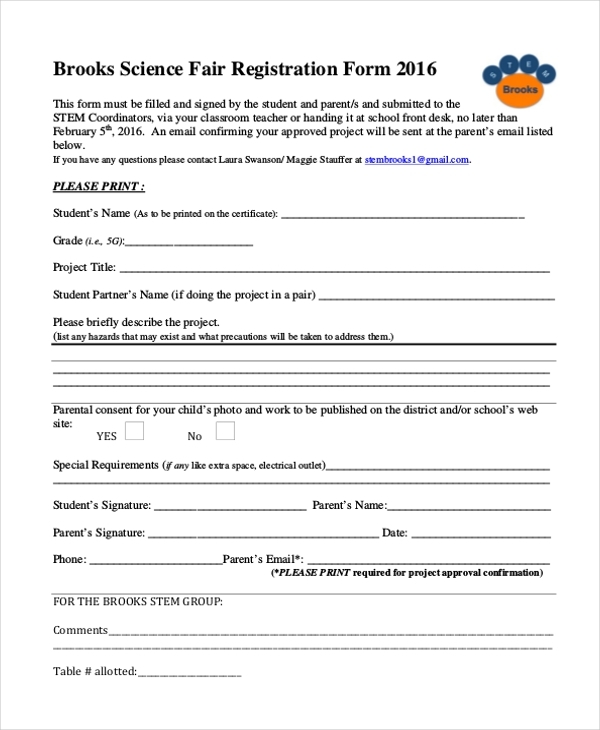 This is the registration form which the participants need to fill up in order to take part in the science fair. This form not only comprises of a section where the person needs to fill in his details but also contains various segments that inform him of the regulations and pattern of the fair. This form is used by the people intending to participate in a science fair to propose the topic of the project to the authority concerned. Using this form they can present the project topic along with details of the project to get it approved. Who is the Target Audience for Science Fair Proposal Form? The science fair proposal forms make it easier for the people planning to participate in a science exhibition to present their project idea in an organized manner to the approving authority. Here is a list of the people who might use these forms. 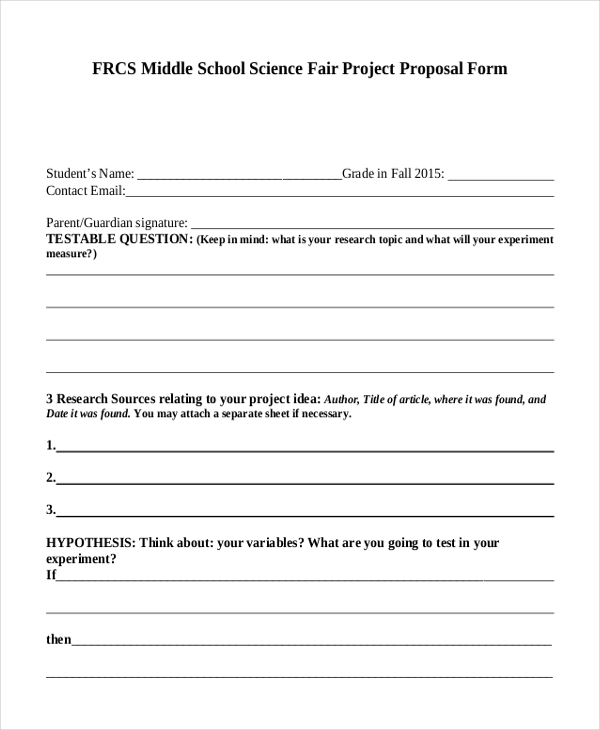 The students intending to participate in a science fair may use this to present a project proposal for approval. The teachers of elementary schools may use this form to grant approval to the project idea after discussing it with the students. Engineers and amateurs interested in participating in a science fair may use this to present a project proposal. 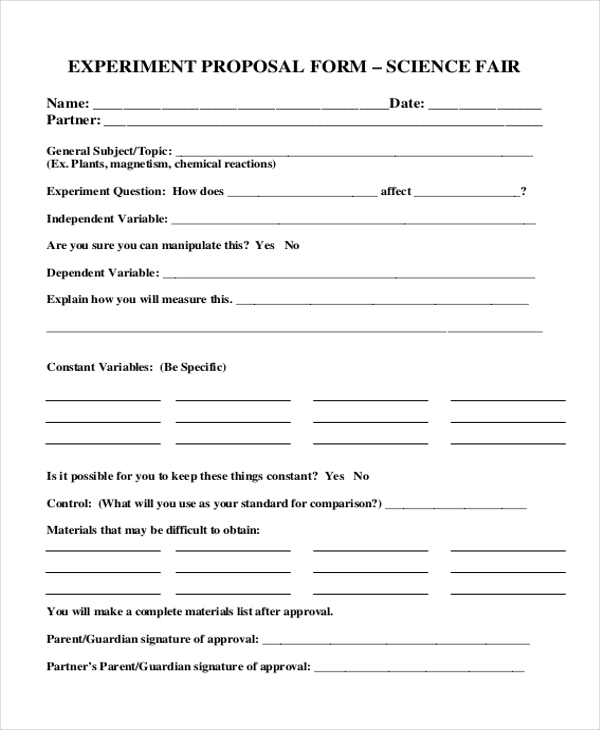 How can you write a Science Fair Proposal Form? 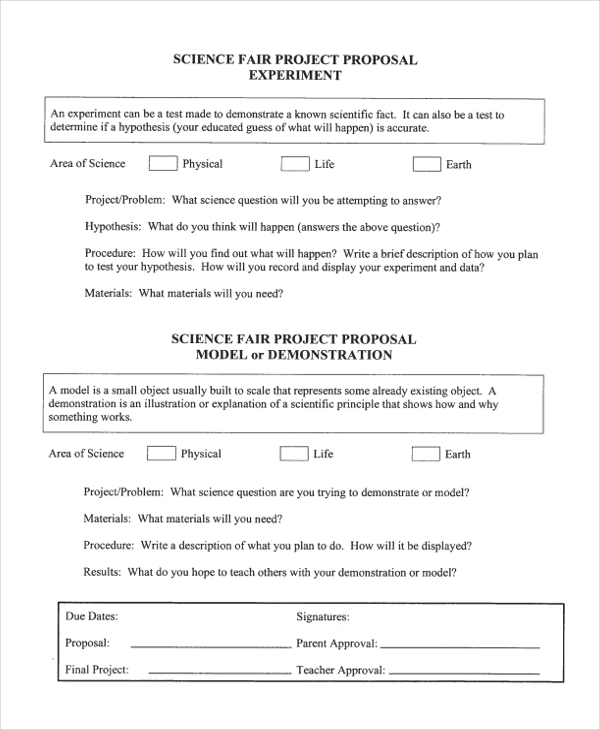 What are the Benefits of using a Science Fair Proposal Form? A science fair proposal form needs to have all the crucial segments that would help you define your project in an organized manner. In case, you don’t have enough time to design one, just look for the perfect proposal form online. These forms are easy to customize, thus helping you to come up with an impressive proposal for your project.